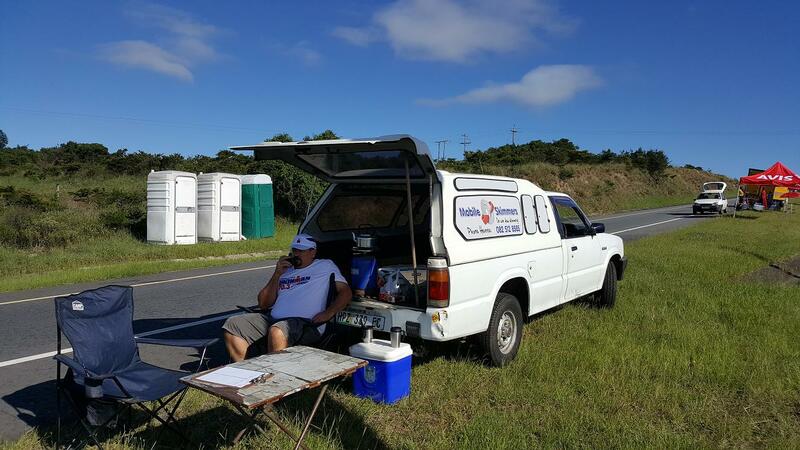 According to Hennie Coetze, ZS2HC, the Hamnet members, with the assistance of the Border Radio Club, once again supplied communications for the IronMan 70.3 in East London. Sunday 29th January saw the 10th edition of this race and a bumper field of athletes. Anthony ZS2BQ and Ivan ZS2ILN operated the VOC with the assistance of Alistair ZS2AB, Andrew ZS2EL, Hennie ZS2HC, Nick ZS2NB, and Phil ZS2NP. Garth ZS2AAR manned the cross band repeater providing coverage for those not in reach of the town repeater. Adequate coverage of the event was made possible by the team who handled both logistical and emergency traffic for the event. A big thank you to all involved. The East Londoners are not resting though – they are already preparing for the Surfers Marathon on the 18th February where they will once again be out flying the flag of amateur radio. In Port Elizabeth, things have been happening as well. On Sunday 29th January, Andrew Gray was on the beach at Sardinia bay when there was a report of a possible drowning. Andrew contacted the Hamnet group and several members arrived to assist with the search. The Hamnet members offered spotters with communication between themselves on the emergency simplex frequency of 145.225. NSRI, Coastal water rescue, and paramedics were also on the scene. The body was later spotted by helicopter and the search called off. Thank you to those who responded. PEARS and Hamnet Eastern Cape are also getting ready for a bumper season with the Herald Mountain bike race on the 19th February followed a week later by the road race. A new event on the horizon for these outdoor enthusiasts is the Addo Extreme 100 MILE (160Km) trail run. The event takes place over the weekend of 10-12 March in the mountains around Addo and Kirkwood. The terrain poses significant challenges – not only to competitors, but to the radio hams too. Not only as far as communications are concerned, but simply “getting there” will also be a challenge. The radio hams will need to set-up camps in some very remote areas – but this is why they do what they do!